I was recently at the Auburn Cord Duesenberg Museum in Auburn, Indiana, and I was talking to someone who worked there who described the Model J Duesenberg to me as a “clean sheet, ground-up, no expense spared design to rival the best Europe had to offer.” Well the designers really over-delivered and the result was essentially the best car in the world. Three different wheelbases would ultimately be offered, with this car sporting the optional “long” wheelbase, which is the preferred length for cars with opulent, closed bodywork. After 1932, a bare chassis (which included the 265 horsepower, 6.9-liter straight-eight engine) would run you $9,500. 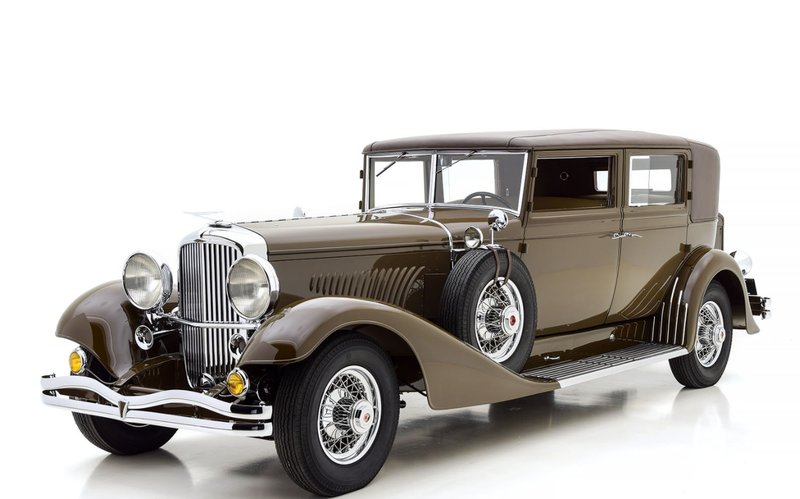 A majority of the Model J engine and chassis were built in 1929 and 1930 but the economy didn’t produce as many buyers as boss man E.L. Cord might’ve liked and Duesenberg continued to sell chassis up through 1937. This car was purchased in 1935 and sent to Judkins in Massachusetts to be fitted with this “Special” sedan body. It’s been fully restored to as-new condition and has already won awards. It’s now for sale in St. Louis for just over $1 million. Click here for more info. 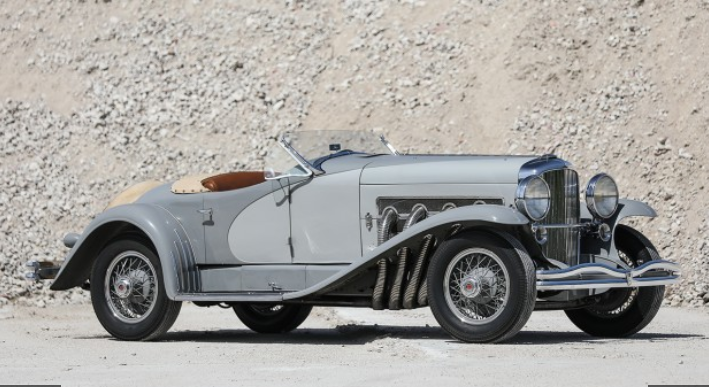 Railton is an old British car maker, but not as old as you might think. Noel Macklin, who also founded Invicta, founded Railton in 1933 after selling his former company. The company was named for Reid Railton who was famous for his land speed record attempts (and for founding the Arab marque). Reid Railton had little input on these cars but was paid a little for each sold. Also, there are various Railton Specials out there that Reid built for his record attempts but those aren’t related to this company. The first Railtons were built on modified Hudson Terraplane chassis. Then they moved on to other Hudson running gear and, ultimately, in 1939, Macklin sold the entire company to Hudson which phased it out later that year (though a few were built after the war). This car uses a 4.2-liter Hudson straight-eight engine making 113 horsepower. It was a pretty strong car in its day: American power and European style and size. 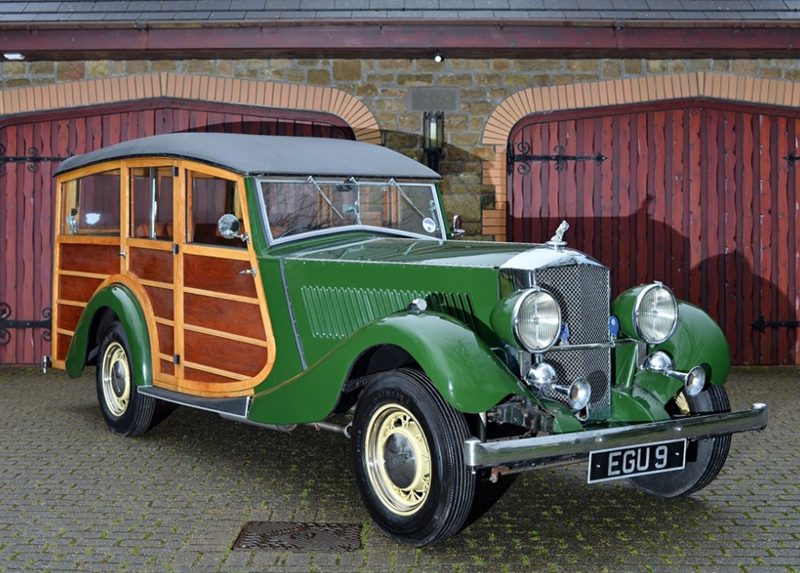 This particular example left the factory as a tourer, but during restoration in 2005 that body was found to be beyond saving and this period-style Woody Estate was built instead. It certainly looks like it could’ve come off the assembly line like this and it’s very attractive. And with that big Hudson motor it’s even more exciting. It should bring between $55,000-$63,000. Click here for more info and here for the rest of this sale’s lineup. Update: Sold, Historics at Brooklands, March 2019, $36,371. The Type 57 was sort of the ultimate Bugatti. Produced between 1934 and 1940, it would be the final model the company produced before shutting down due to the war and really, considering their brief attempted comeback after the war, the last true Bugatti production car. There were some hotted-up versions of the Type 57 that came after this, including the Type 57T, 57C, 57S, and 57SC, but this is the original, the plain-old Type 57. It is powered by a 3.3-liter straight-eight engine making 135 horsepower, which was the same engine that Bugatti used in their Type 59 Grand Prix cars – so the racing heritage was present even if most Type 57s were not destined for the track. This car, however, did see track use – and has for most of its life. When new, it competed in the Ulster Tourist Trophy race in the U.K. The next owner DNF’d the car at the 1936 24 Hours of Spa. By 1939 the car was in Australia, where it would spend the next 75+ years. 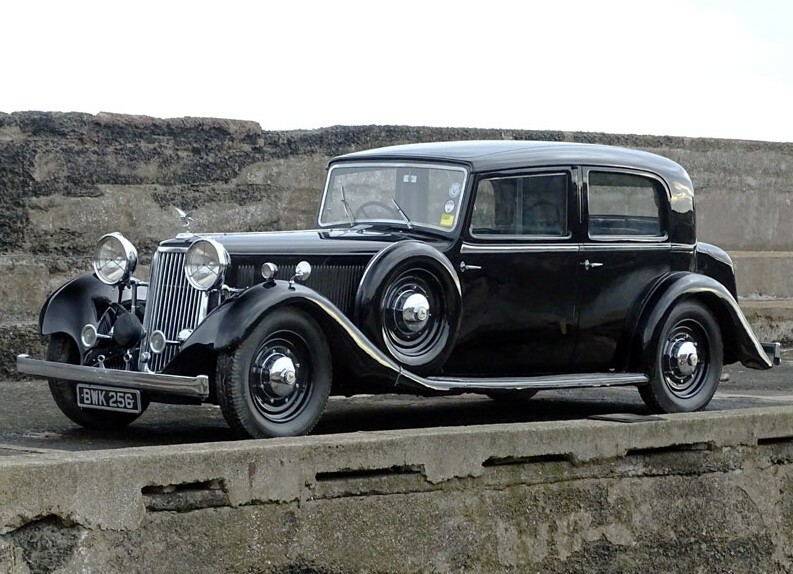 The car had been modified over time but the consignor, who bought the car in the 1970s, spent until 2010 restoring the car to its 1935 specification. Only 630 examples of the Type 57 were built and this one has pretty decent race history (with Earl Howe and Pierre Levegh at the wheel no less). It should bring between $950,000-$1,600,000. Click here for more info and here for more from this sale. Adler was a German automobile manufacturer that got its start in 1900. Based in Frankfurt, the company introduced a pair of front-wheel drive models during the 1930s. They were the Trumpf and the smaller Trumpf Junior. Introduced in 1934, this Junior model is powered by a 1.0-liter straight-four that makes 25 horsepower – enough to push the car to 56 mph. It was a popular model that performed and sold well. Unfortunately for Adler, WWII came and their factory was destroyed by Allied bombs. Production did not resume after the war ended (though Adler did join with Triumph to build some motorcycles through the 1950s). This example was restored in 1992 and has been on museum duty since 2000. It should sell for between $14,000-$21,000. Click here for more info and here for more from this sale. GN was a car company from the U.K. that went out of business in 1925. Founded by H.R. Godfrey and Archibald Frazer Nash, they specialized in cycle cars. Another venture of Godfrey’s was HRG. Frazer Nash, meanwhile, founded his own company whose early cars used GN parts. Cars from all three brands have visually similar characteristics. The Shelsley was a very limited edition model produced between 1934 and 1936. This particular car is powered by a 1.7-liter straight-six (other engines could be had as well and Frazer Nash even built at least one Shelsley with a supercharger). This car features chain-driven rear wheels. 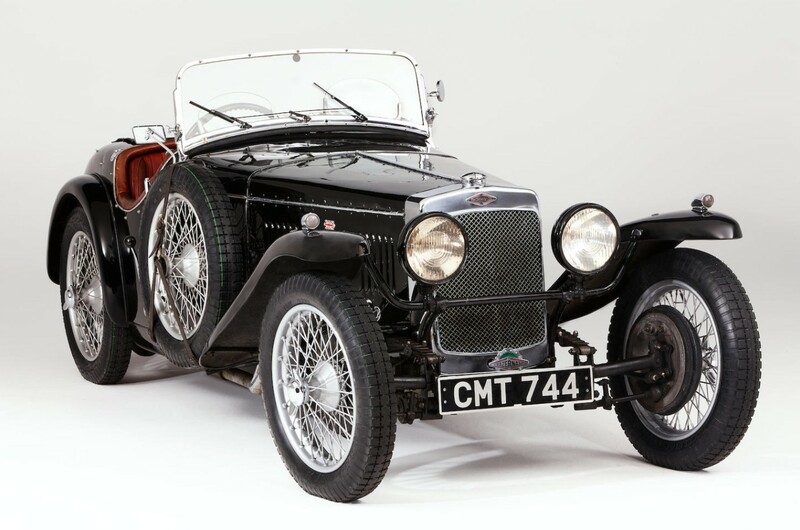 All Frazer Nash models are rare, but only six examples of the Shelsley were produced, which, remarkably, puts it sort of mid-pack among Frazer Nash models in terms of production numbers. This example has been in the care of the same owner for the last 22 years. 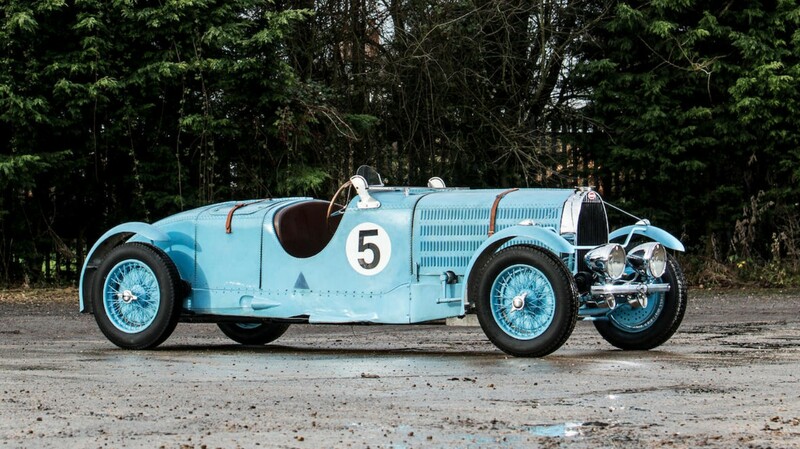 Like all Frazer Nash’s, the Shelsley is sporty and rare, which leads to its pre-sale estimate: $240,000-$290,000. Click here for more info and here for more from this sale. The great Hispano-Suiza began in 1904 in Spain. Over the course of the company’s life, even though its name translated to Spanish-Swiss, it shifted some automobile production from Barcelona to Paris. 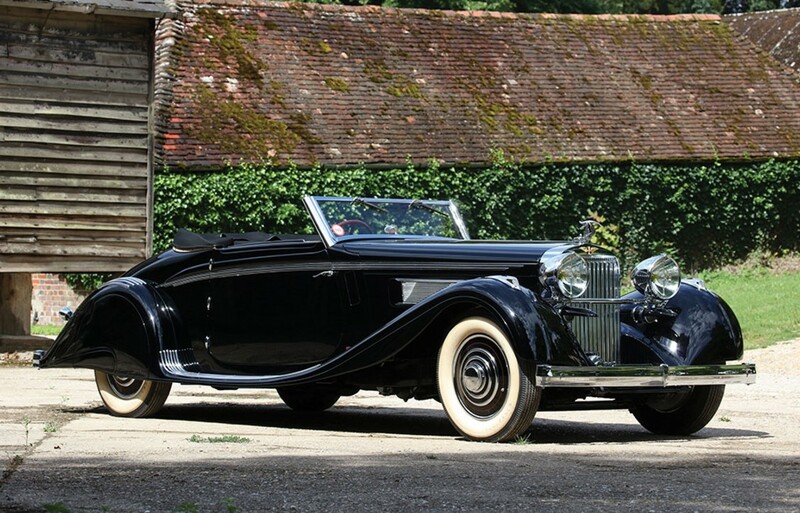 Most of the big, beautiful, later cars produced by the firm came out of France, including this mighty K6. 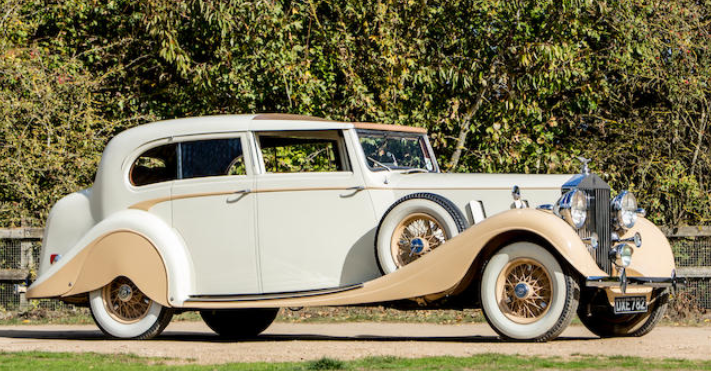 This was Hispano-Suiza’s six-cylinder model, powered by a 135 horsepower, 5.2-liter straight-six. 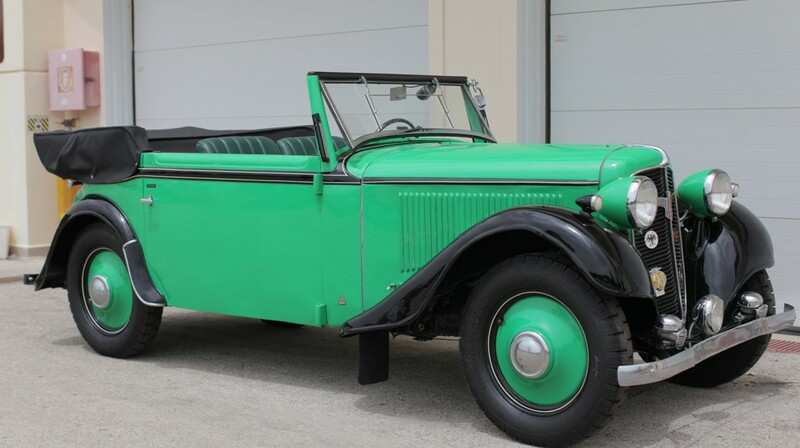 Introduced in 1934, it was the replacement for the H6 series of cars that dated to the end of WWI. Hispano-Suiza was building 12-cylinder cars alongside the K6, but the K6 was the final model the company introduced as their automobile production wound up in 1938. This car carries beautiful, long sweeping body work by Carrosserie Brandone, a coachbuilder that did not body as many cars as some of their French counterparts of the day. Past owners of this particular car include the Blackhawk Collection and Peter Mullin. Only about 70 examples of this model was built and this one is quite imposing. It should bring between $2,060,000-$2,320,000. Click here for more info and here for more from this sale. Update: Not sold, RM Sotheby’s Paris 2019.